Before we spend days researching a stock idea we like to take a look at how hedge funds and billionaire investors recently traded that stock. S&P 500 Index ETF (SPY) lost 8.7% through October 26. 40% of the S&P 500 constituents are down more than 10%. The average return of a randomly picked stock in the index is -9.5%. This means you (or a monkey throwing a dart) have less than an even chance of beating the market by randomly picking a stock. On the other hand, the top 25 most popular S&P 500 stocks among hedge funds had an average loss of 8.8%. In this article, we will take a look at what hedge funds think about Tanger Factory Outlet Centers Inc. (NYSE:SKT). Hedge funds were selling Tanger Factory Outlet Centers Inc. (NYSE:SKT) in Q2 as the number of funds holding shares of the company dropped by 19%. Things are looking even worse in Q3, as all 3 funds to have reported their positions in the stock ended up selling out of them completely. That’s surprising given that Tanger Factory Outlet made our list of the 25 Best Dividend Stocks for Retirement for having paid dividends for 25 straight years and having an impressive 6.17% annual dividend yield. Heading into the fourth quarter of 2018, a total of 13 of the hedge funds tracked by Insider Monkey were long this stock, a drop of 19% from the second quarter of 2018. 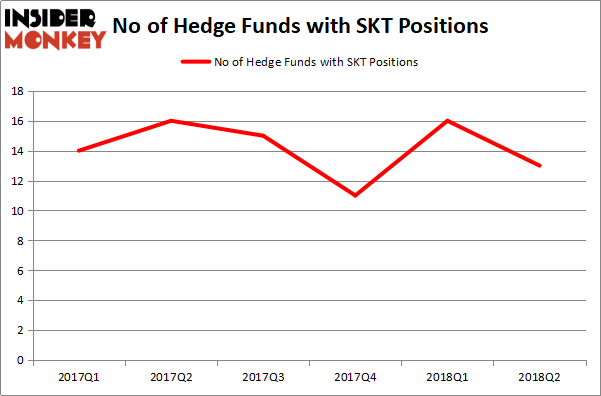 By comparison, 16 hedge funds held shares or bullish call options in SKT in the middle of 2017. With hedgies’ sentiment swirling, there exists an “upper tier” of key hedge fund managers who were upping their stakes considerably (or already accumulated large positions). Among these funds, AEW Capital Management held the most valuable stake in Tanger Factory Outlet Centers Inc. (NYSE:SKT), which was worth $35.9 million at the end of the second quarter. On the second spot was Echo Street Capital Management which amassed $20.1 million worth of shares. Moreover, Stevens Capital Management, Forward Management, and Diamond Hill Capital were also bullish on Tanger Factory Outlet Centers Inc. (NYSE:SKT), allocating a large percentage of their portfolios to this stock. Seeing as Tanger Factory Outlet Centers Inc. (NYSE:SKT) has experienced falling interest from the entirety of the hedge funds we track, we can see that there were a few funds that elected to cut their full holdings last quarter. At the top of the heap, Steve Cohen’s Point72 Asset Management dropped the biggest investment of the 700 funds tracked by Insider Monkey, worth an estimated $3.5 million in stock. Mike Vranos’ fund, Ellington, also dropped its stock, about $1.3 million worth. These moves are important to note, as total hedge fund interest dropped by 3 funds last quarter. 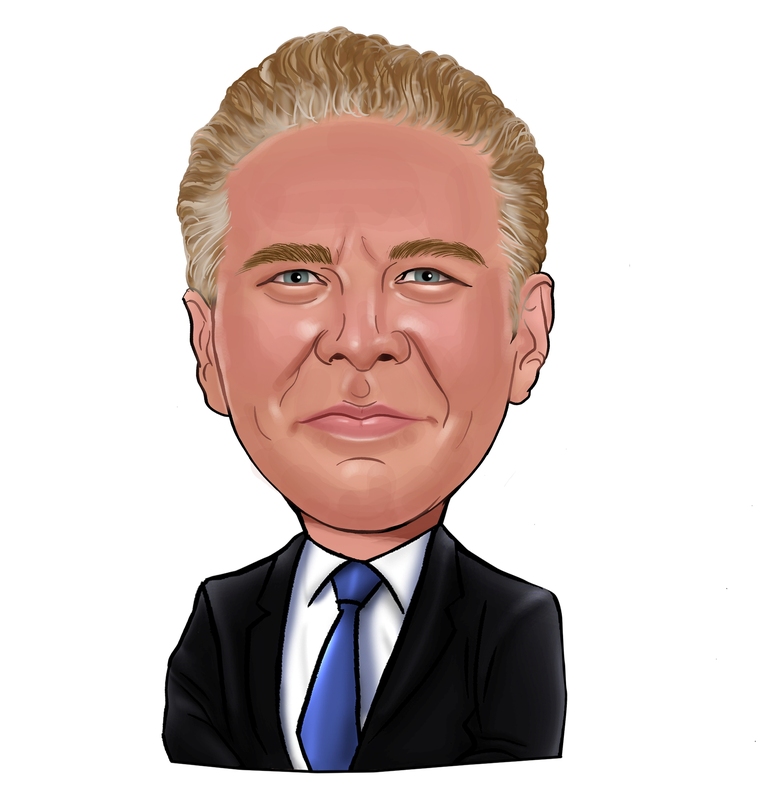 Let’s go over hedge fund activity in other stocks – not necessarily in the same industry as Tanger Factory Outlet Centers Inc. (NYSE:SKT) but similarly valued. We will take a look at Appian Corporation (NASDAQ:APPN), Alamos Gold Inc (NYSE:AGI), Trustmark Corp (NASDAQ:TRMK), and Liberty Oilfield Services Inc. (NYSE:LBRT). This group of stocks’ market caps are closest to SKT’s market cap. As you can see these stocks had an average of 8 hedge funds with bullish positions and the average amount invested in these stocks was $118 million. That figure was $98 million in SKT’s case. Alamos Gold Inc (NYSE:AGI) is the most popular stock in this table. On the other hand Appian Corporation (NASDAQ:APPN) is the least popular one with only 4 bullish hedge fund positions. Compared to these stocks Tanger Factory Outlet Centers Inc. (NYSE:SKT) is more popular among hedge funds, though all the recent selling is cause for concern. Nonetheless, we recommend dividend investors at the very least take a look.